I think everybody loves boardgames. 102 years after its creation, Monopoly is arguably the one of the most recognisable games there is. It is licensed in more than 103 countries and printed in 37 languages. The Game of Life is another classic. On a simpler scale, Connect Four has always been a favourite of mine. Lining four coloured discs to win is the objective. During London Fashion Week, Christopher de Vos and Peter Pilotto were inspired by boardgames. Ludo, Snakes (or Chutes) and Ladders and Connect Four, specifically. The childhood games along with other board game apparatus (dice, etc.) were all interpreted into a stylish collection on day 4 of fashion week. Look 7 was a brown coat, resembling the maze a Labyrinth board would feature. Another was a black, turtleneck angora wool sweater with multicolour tracks looked like a racetrack game. It was paired with a wool skirt with green and blue accents. One skirt was inspired by Connect Four and had green and blue circular acetate accents. 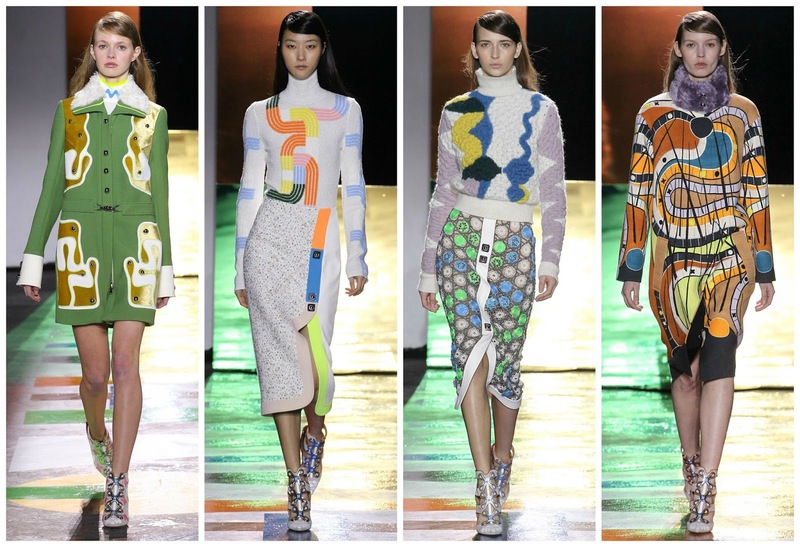 Some shapes were singularly Peter Pilotto. The raised shoulders on the opening coat. The blush pink Tetris-inspired number featured a fur collar. It reversed the “business in the front, party in the back” statement. Look 4’s viscose dress with a slightly flared skirt was easily recognisable as a recurring shape. Emily Blunt’s Cannes Film Festival dress was the Ludo-inspired Look 15. The final look had a signature asymmetric hemline. To keep things interesting, the waist featured two, white strips, giving an illusion waist. The neckline also featured a strap that look was asymmetrically fastened. Presenting us with a fresh idea such as boardgames was refreshing. It was an unexpected, intriguing display from the duo. It was a collection full of references, a reworking here-and-there of the signature brand shapes and cuts. Peter Pilotto and Christopher de Vos roll the dice. They get a six. They roll again. Another six. These boys are winning.